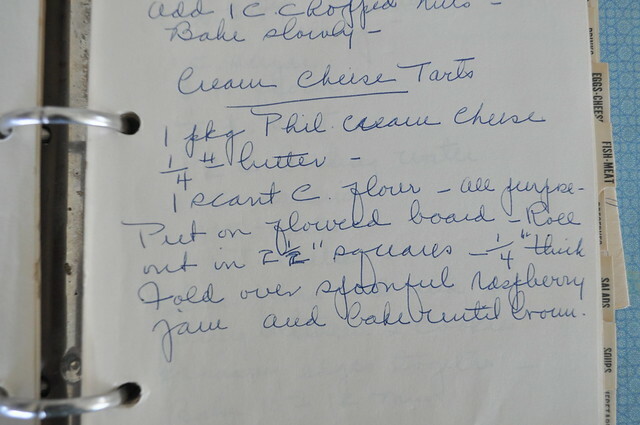 She was helping me as I worked on this recipe today and she said, “That dough is similar to the crust I used in those Christmas cheesecakes I used to make!” Which led my random brain to think, not only did she probably use six packages of cream cheese for the filling but there was another in the crust?! And our family is huge…she must have bought our little grocery story out each year! 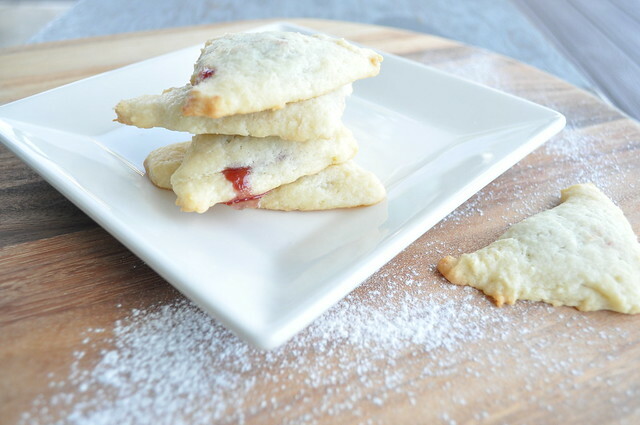 These little bits of raspberry filled goodness are yummy! Just the right balance of a sweet dough and tart raspberry jam. My only warning for ya, they’re best the day you make them so make them when you’ve got a crowd coming over. 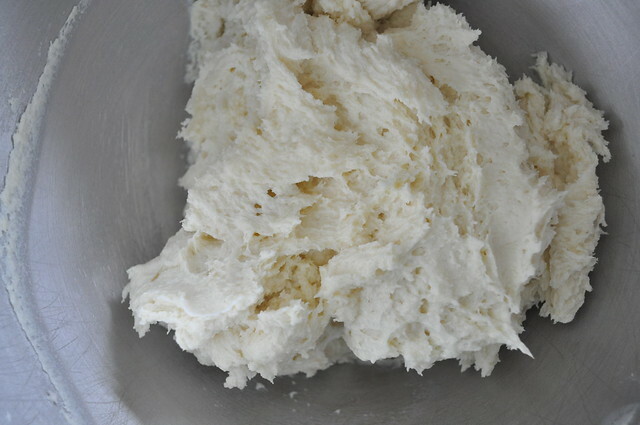 Cream butter until smooth, then add cream cheese until blended. 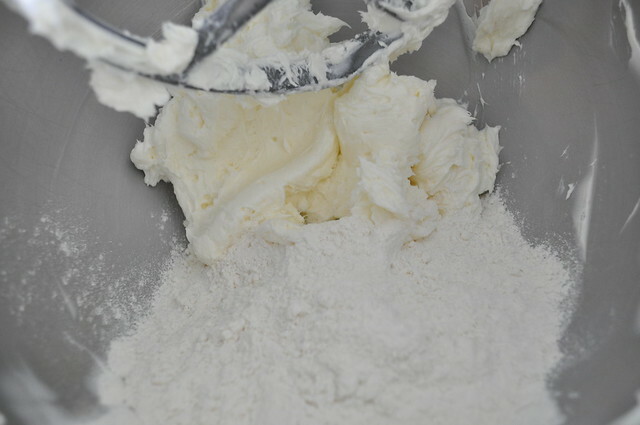 Add flour and blend quickly. Remove from bowl, wrap in plastic wrap and refrigerate until firm. 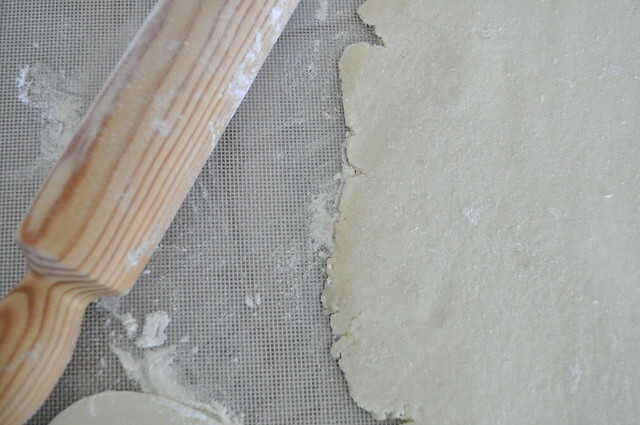 Unwrap dough then roll out 1/4 inch thick. Cut into 2 1/2 inch squares. Place a small spoonful of jam in the middle. Fold over to form a triangle and pinch the edges. 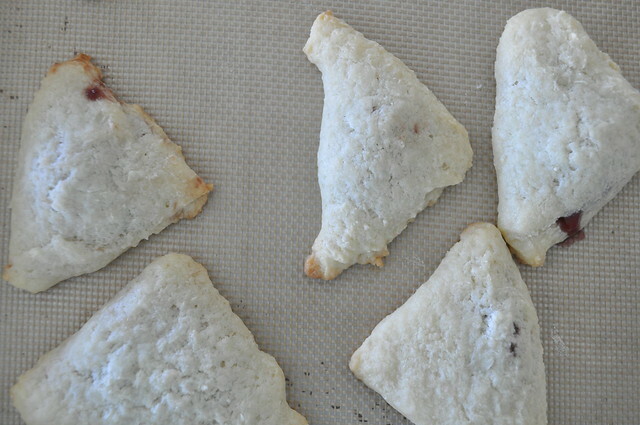 Place on a parchment lined cookie sheet and bake for 10-15 minutes, until lightly golden. Serve fresh, they’re much tastier the first day! *If you want to skip the jam, the cookies are delicious on their own. 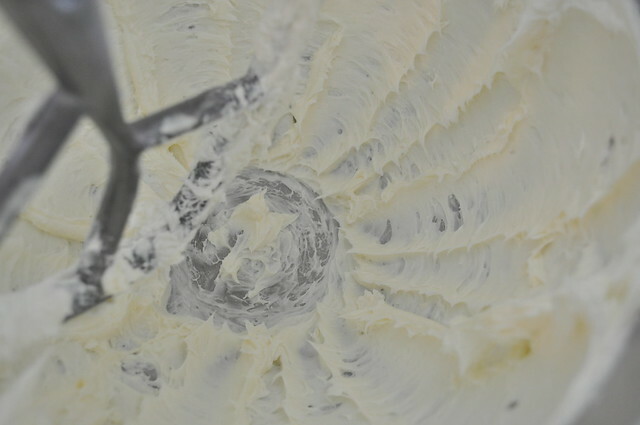 Cream the butter, then add the cream cheese and beat until smooth. 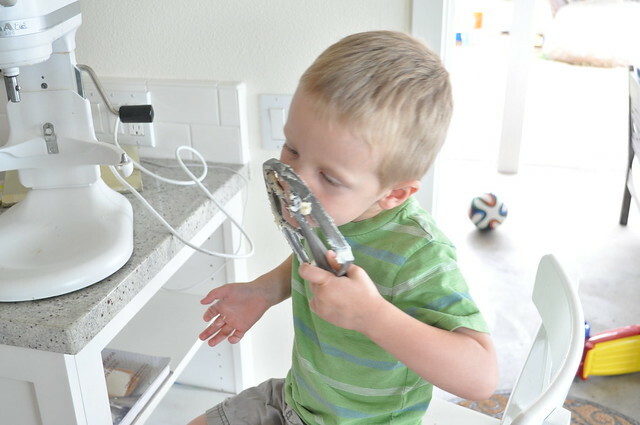 It’ll be sticky…the fridge should help with that. 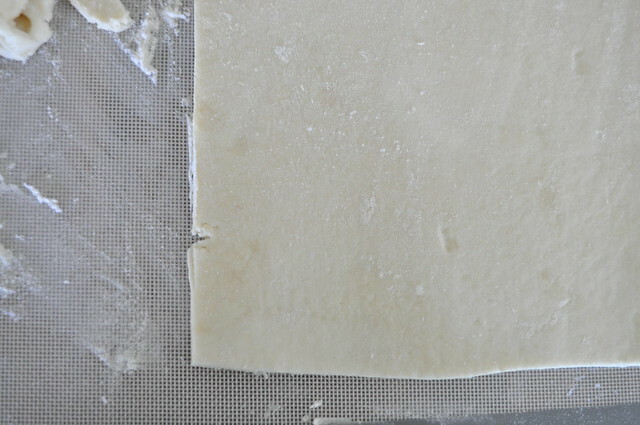 Then scrape the dough into plastic. Wrap it and flatten it slightly so it’ll be quicker to chill and easier to roll out. 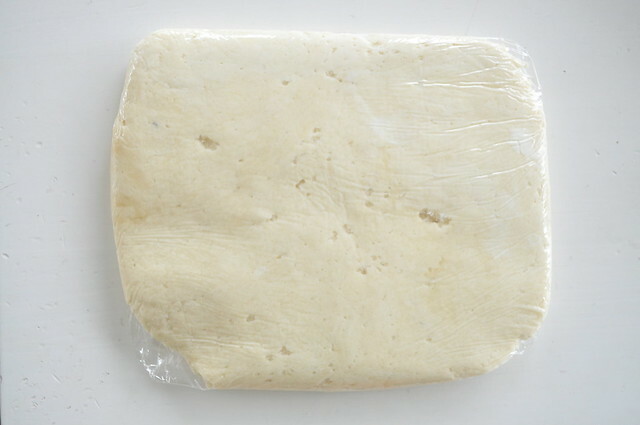 Roll the dough on a floured board to 1/4″ thickness. 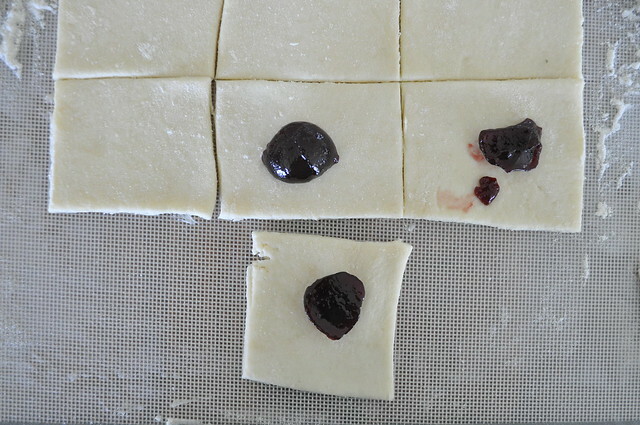 Then cut your squares and add jam. 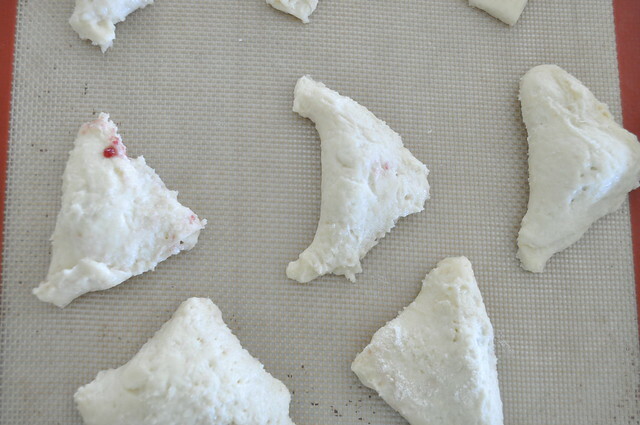 Fold them over and pinch the edges. What jam are you going with? Raspberry? Plum? Apricot? None of the above? Your helper will like more beaters than any child on earth. Lucky him!